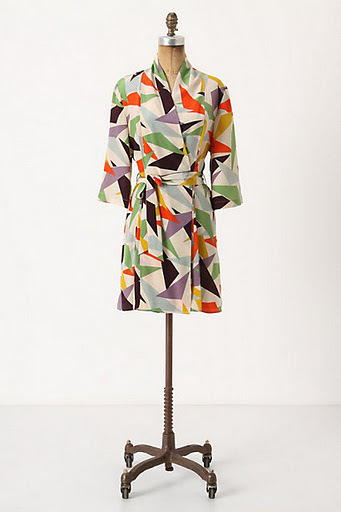 One of my absolute favorite retail stores, Anthropologie’s merchandise ranges from underwear to blouses to doorknobs, but every item adheres to one piece of criteria: it must be unique. For me, walking into Anthro is like a breath of fresh air. 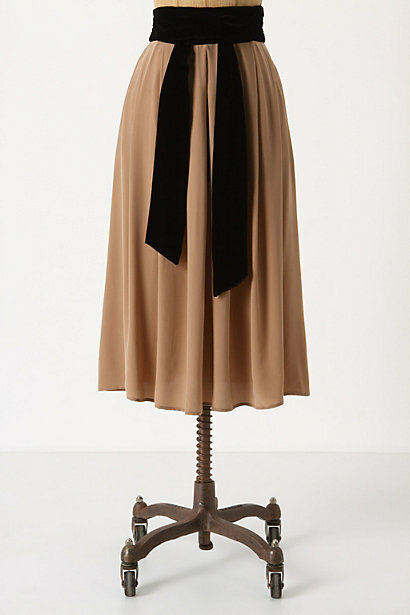 Not only the items, but the way they are styled, always opens my eyes to a new way of looking at fashion. While the selection is always impressive, the price tags can sometimes be staggering. Typically, I beeline it to the sale section, unless I am in some serious need of retail therapy. 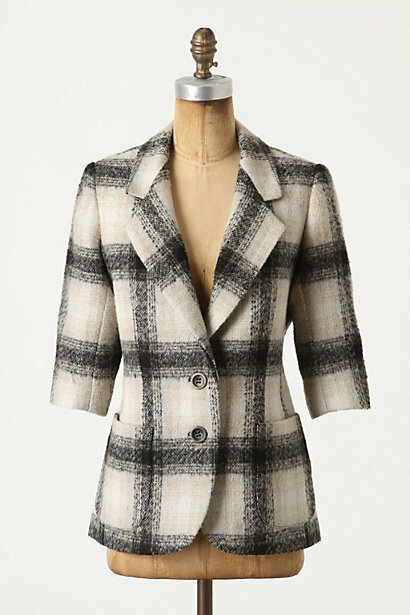 Good news for me, because today Anthro announced 50% off all of their sale styles for a limited time! I know it’s the holiday season, but I have to believe that sometimes receiving is just as great is as giving! I’ve posted some of my favorites in the sale section so far. Things are going pretty quickly though, so you better get to purchasing! Obama’s dined there; it’s won a plethora of foodie awards and the James Beard Foundation Awards declared it not only the best Indian restaurant in America, but one of the best restaurants in America! Rasika is a one way ticket to India – return indefinite – right smack dab in the middle of Penn Quarter. I took a group of 40 people, 90% of who were Indian, to Rasika after Cirque du Soleil and didn’t hear a single bad word about the food! 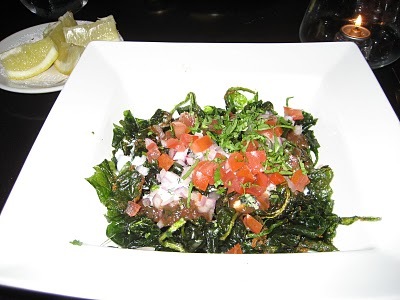 Palak Chaat – One of my favorites! The texture of the spinach, mixed with the fried crunch and sweet taste of the yogurt and date chutney was a completely new taste for me and it did not dissapoint! Sev batata puri – Very light and flavorful. The mango sweetened the dish so it almost tasted like it could pass as part of the dessert menu. Seekh Kabab – This dish is a distant relative of sausage and was very spicy. The flavor was excellent, particularly accompanied with the mint chutney. Kali Mirch Tikka – Another one of my favorites! I am determined to find a way to make this at home. The chicken was cooked to perfection and had just the right amount of spice. Chicken makhani – Also known as butter chicken. This dish was by far my favorite. Now, I’ve been told many times that if you are in the company of Indians and order this dish, you are asking to get made fun of as an America. Apparently, this is the most mild Indian dish you can order and Americans always like it the best. I’d be happy to be made fun of for ordering this dish as long as it meant I could eat it! If you visit Rasika, you have to try it! Palak Paneer – This was a very nice side dish, but that’s just it – nice – nothing I’d write home about. Good taste, but I could take it or leave it. Dal makhani – I didn’t get the chance to try this, but everyone we were with said it was phenomenal. Lentils are usually a staple in any Indian meal, so I’d say go for it, but I can’t recommend it as I didn’t try it myself! Cucumber raita – You more than likely have had something like this before. If you’ve had greek food, the flavor is very similar to Tzaziki sauce. This isn’t something you’d eat on its own; you’ll want to put it on some naan bread or a dish that might be a bit too spicy for your taste buds. Lemon cashew nut rice – Self explanatory, but oh so good! Make sure to eat either the Chicken Makhani or the Dal Makhani (or any other dish with some flavorful sauce) atop the rice. Bread basket – Three different types of naan (flatbread) – garlic, sage and plain. Have one of each and either dip in the sauce from one of the dishes you order or the cucumber raita! Gulab Jamun, Carrot Halwa and Cardamom Ice Cream – I have to be honest, at first, I was not sure what was what on my plate! Luckily, a coworker was able to point everything out and explain it to me. The gulab jamun was by far the best of the three servings on my plate and my goodness, was it good! It tasted a bit like a donut but the texture was so much moister. It is a traditional Indian dessert but I’ve never had anything like it! I only had a bite of the carrot halwa because the taste was sweet, but strong. The cardamom ice cream was very mild and lacked a lot of flavor. I was so full, so I wasn’t feeling too motivated to try to find combinations to make dessert taste better, but I’d venture a guess that the cardamom ice cream would cut the sharpness of the carrot halwa just perfectly. All in all, by far one of the best restaurants I’ve been to in DC. I have to say, as I work for an Indian company, I’ve had traditional Indian food many, many times during the past year and this is NOT traditional Indian food. However, it is just plain amazing food – phenomenal service and even better food. I can’t wait to go again with friends and you should go as soon as you can! The BEST part? They were $27! Absolute perfection! 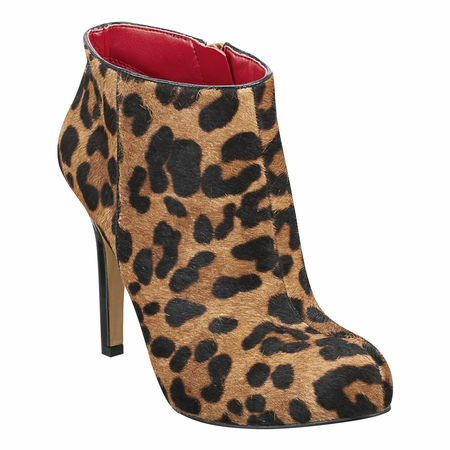 The claws will come out for these leopard booties! These Nine West booties reach so many levels of fashion fabulousness that they are a must-have! The leopard print is on-trend right now with all of the animal-inspired prints and furs showing up this season. The texture is enough to be unique and interesting without looking cheap and the red lining is the perfect pop of color! The best part – they are just a little more than $100 full price and right now, they are 30% off so you can get them for less than $85! Pair them with a pencil skirt and a button up for work and some skinny jeans, a tank and a cute blazer for a date night! Get really sassy and sport them with your favorite LBD for a night out on the town. They will last you all season! It is the perfect jacked for casual weekend wear with a touch of sophistication. At full price it is $98, but with the Friends and Family discount it is 40% off! Can’t beat that deal! 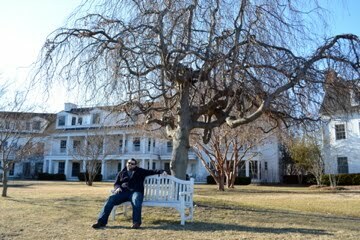 My fabulous fiance took me to the Inn at Perry Cabin for Valentines Day this past February. We had the best time lounging on beautiful grounds, enjoying the peaceful views and exploring the quaint town of St. Michaels. I highly recommend saving up for a night at this divine resort for a bit does of relaxation and a little taste of luxury. Those of you who know me, know I am getting married in a little less than 6 months. The planning process has been quite difficult – much more difficult than I anticipated. Since these decisions are what makes life particularly eventful for me these days, I figured I might as well try to produce some positive advice! I have a whole slew of decisions coming up for my big day. The hardest of which was, location, location. There was great debate amongst all my friends, family and anyone else who dared to get involved over what comes first – the location or the guest list? Decide on your top 2-3 geographical locations. For instance, Florida, Georgia or Washington DC. Yes, this is based on my own experience, in case you were wondering. Make your parents (and his!) put together a list of their “must haves” and their “it would be nice to invite aunt irene” guests. The first list is all of the people they absolutely have to invite; the second is a list of the people they would like to be able to invite but it isn’t necessary. You get the idea. Add to each of these lists your own invitees. Consider what location is best for them and where they are most likely to be able to attend. Take a step back and look at each list from a different perspective. What is most important to you? Do you want as many people there as possible? Then go for the location with the longest list? Do you want to make sure you stay within your budget? Go for the smallest list. Do you want to end up somewhere in the middle? Well, then go for the list that stands some middle ground. Now that you know which geographical location you’re looking at, you can start looking at venues based on your guess-timated guest list! A beautiful spring Sunday morning in the district…yes, it must be brunching season! I had plans to help my best friend paint her new condo (yay, Nicole!) and we of course needed some pre-Michelangelo fuel. We decided on Mandu, a Korean joint off of 18th St. in Dupont. It was my first time having fare, but it was fabulous! Mandu featured a Korean brunch special for $12, which Nicole ordered. Amanda and I opted for a traditional Korean dish, Dolsot bibim bap, which features rice, bean sprouts, mushrooms, vegetables, the meat of your choice and a fried egg in a clay pot. We also started with pork dumplings and the standard appetizer plate offered to all guests – seasoned cucumbers, bean sprouts, green beans, potatoes and tofu. I’d give it 5 out of 5 for the food, but a 2 out of 5 for the service – I’ll go with an overall 3 out of 5 forks! Lately, my life has been entirely too busy. I barely have time to brush my teeth before running out the door to make it to work on time. I work too many hours a day; don’t spend enough time with the ones I love and am never able to tackle the laundry pile (don’t even ask about the dry cleaning). Too much to do; too much stress and way too many demands have sent me into a tailspin and feeling like I have no idea who I am anymore! I have come to the realization that if I don’t make time to actually live my life, then it is going to pass me by before I know it. Life will always be eventful, but it is up to me to make it perfectly eventful! WOAH! Events Without a Hitch! Event planners are a dime a dozen these days. All you need to call yourself an event planner is the capacity to Google and put together a decent color scheme. We’ve watched too many friends pay an arm and a leg to plan the event of their dreams and be left severely disappointed. But what is a girl (or boy) to do when she (or he) doesn’t have the artistic prowess or the free time to plan the event of her dreams? Research, explore, think – and then give someone else the job! An event is not merely a gathering of friends, some good catering and pretty invitations. An event should be an extension of its hosts; an expertly crafted memory guests will reminisce for years to come; a perfect execution of the hosts’ request. WithOut A Hitch – Woah! Events will feature all of the most creative, inventive, unique and high quality event ideas and executions that we see! We’ll also feature any of our own personal events! Stay tuned and soon you’ll be saying WOAH!